This cake! This cake! This Cake! 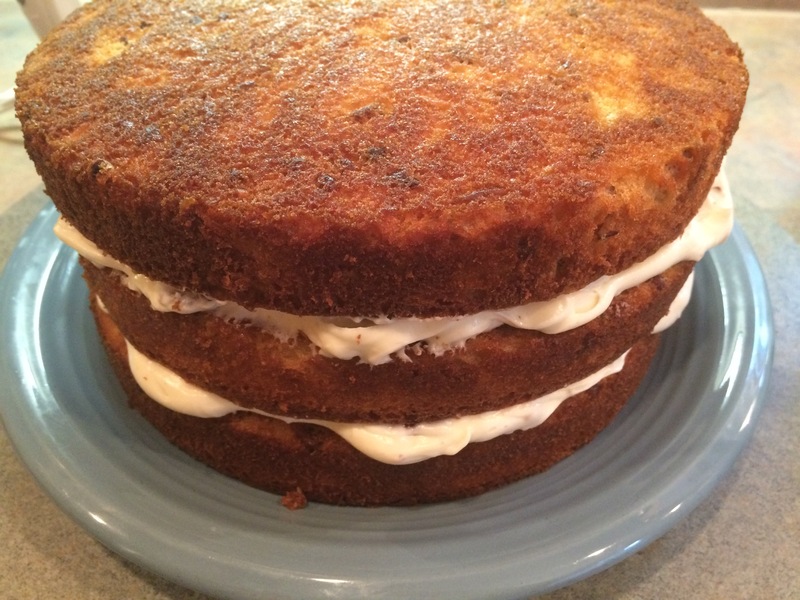 Italian Cream cake has to be my mom’s favorite cake. 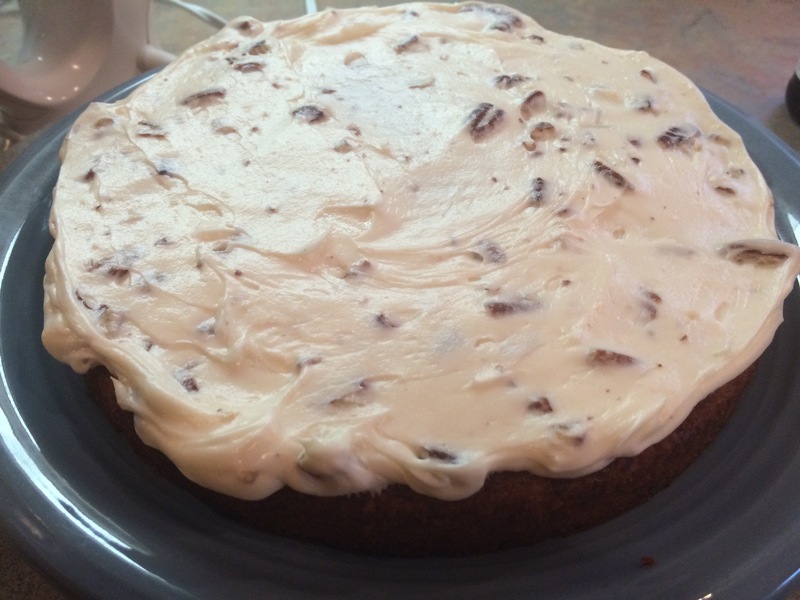 Well Italian Cream and German Chocolate cake. These two cakes always had a spot on the dessert table during Thanksgiving and Christmas dinner. It is quite a showpiece. 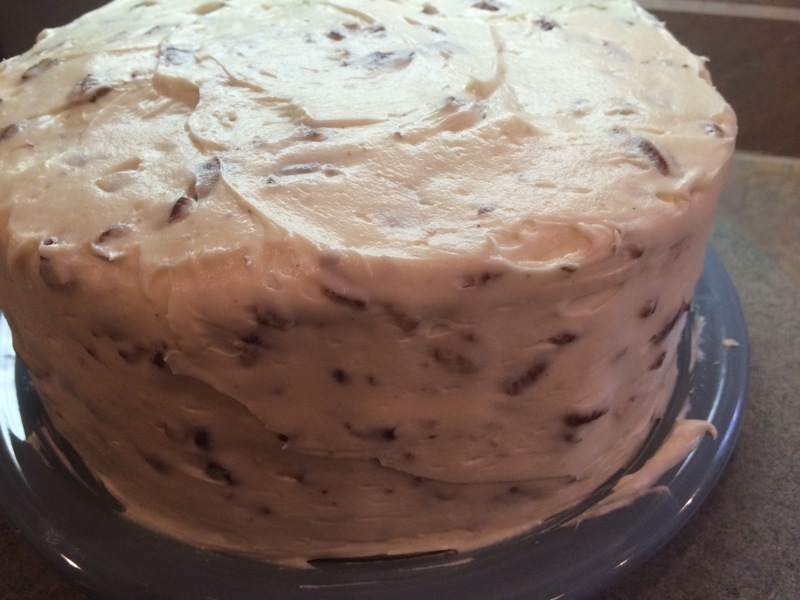 Three layers of white cake with coconut and pecans baked in and frosted with cream cheese icing. Oh my goodness! Just thinking about those layers of cake and frosting marinating together for just 1 day and it’s even better than the first…… The truth is I don’t like pecans or any other nut for that matter but, for this cake aaaand the German Chocolate cake I manage to talk my taste buds into enjoying a slice or two. If this cake was just for me though, it would be absent of pecans. I would just enjoy the shredded coconut sprinkled throughout the delicious stack. 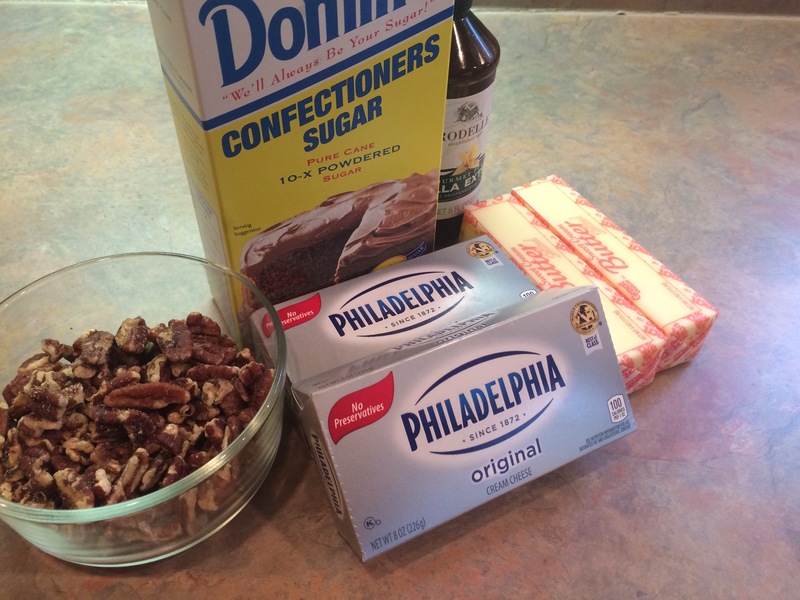 (Note to self: bake without pecans for self)😀. 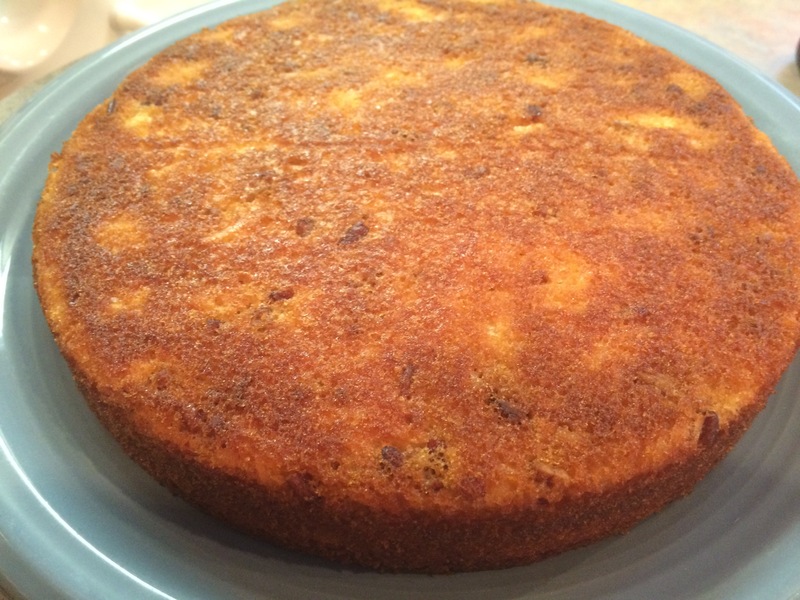 This Italian Cream Cake has great flavor and moistness. This paired with the basic cream cheese icing that I also added pecans to makes an attractive 3 layer attention grabber for any event. Because this is my mom’s favorite cake I have made this cake 4 times this year. LOL…..we didn’t keep all the yumminess to ourselves though. This is her cake of suggestion when I am baking as a gift. I have given two away as gifts (including this one), one for experimenting and, one for mom’s birthday in February. When I was a kid, momma would make this cake as a sheet cake. I guess that’s the way that particular recipe was written. 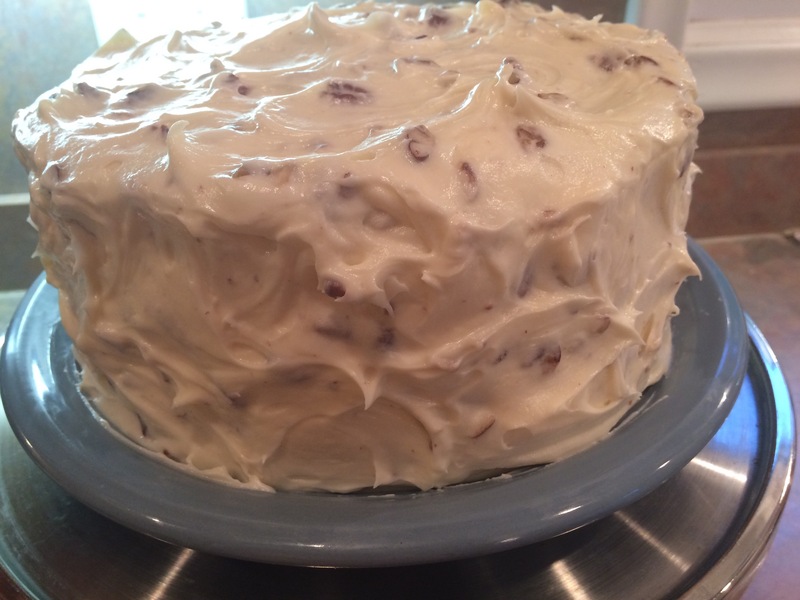 The recipe for today is written for a three layer cake baked in 9 inch round pans, decorated with cream cheese pecan frosting. 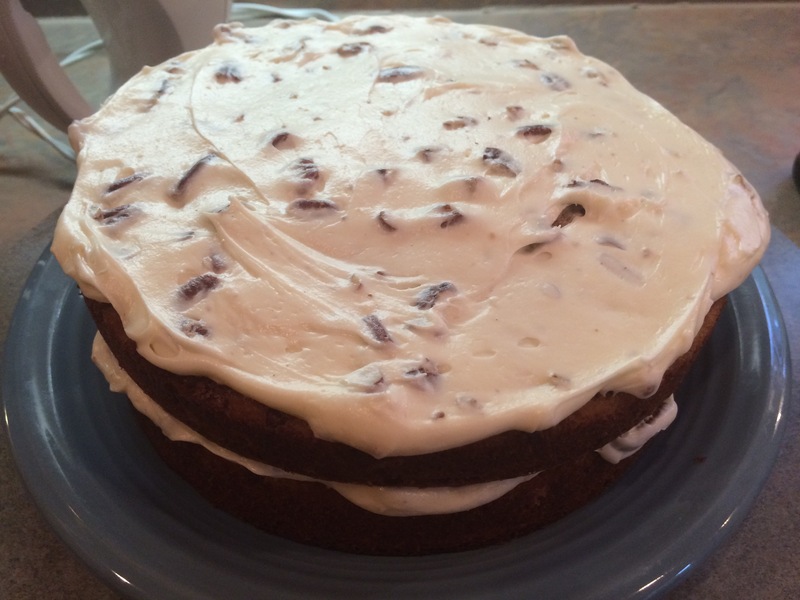 If you are a cake baker, you will find this recipe reminiscent of the German Chocolate cake (minus the chocolate). If you are not a cake baker or baker of any kind, don’t be afraid of trying this one as your initiation into the baking club. 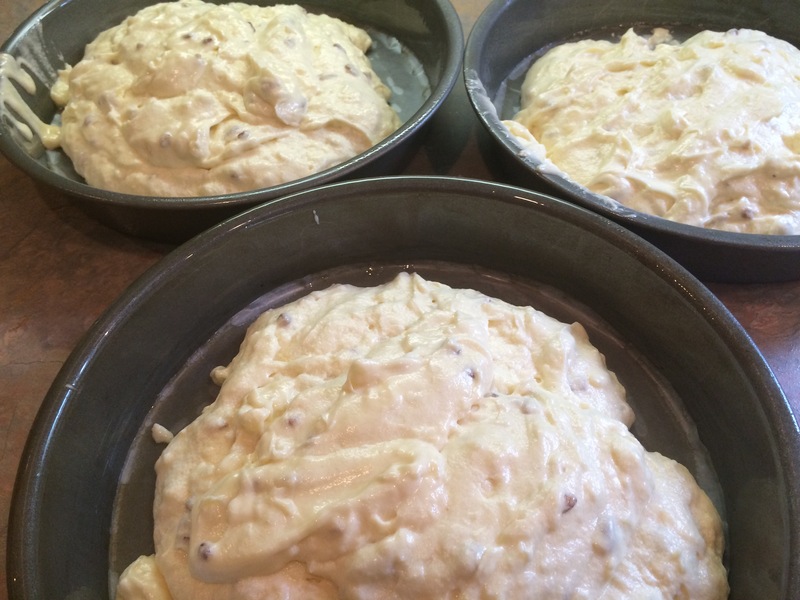 They key to great baking, I think, is reading the recipe and directions prior to the actual baking, prep work, bringing all cold ingredients to room temperature, measuring ingredients correctly and following directions accurately. Following those tips will keep you in pretty good shape. 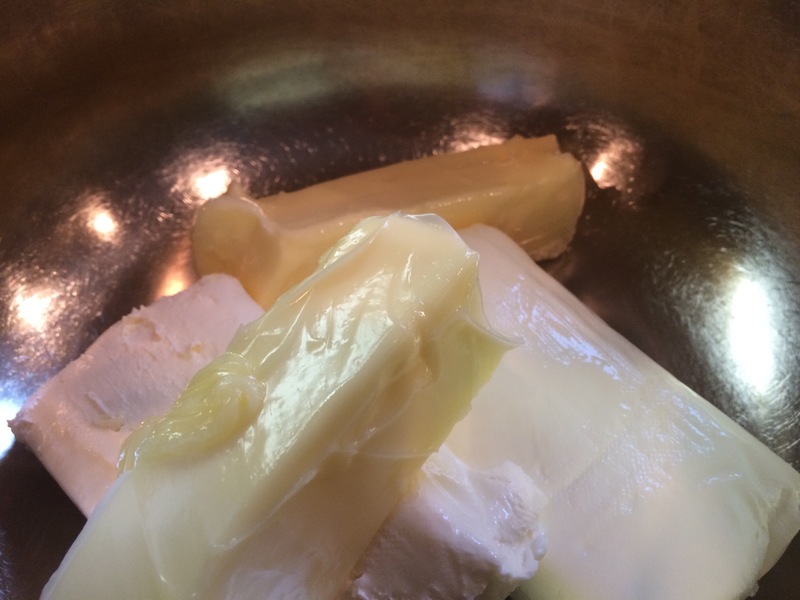 Take butter, eggs, and buttermilk out of the refrigerator and bring to room temperature at least 4-6 hours in advance. Set oven temperature to 350 degrees and pre-heat. 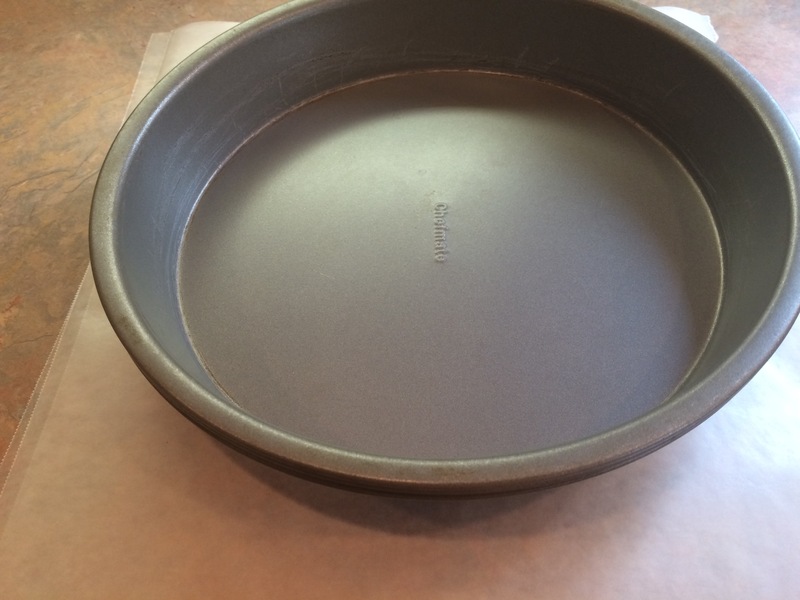 Next prepare the cake pans by cutting out 3 nine inch circles from wax paper. 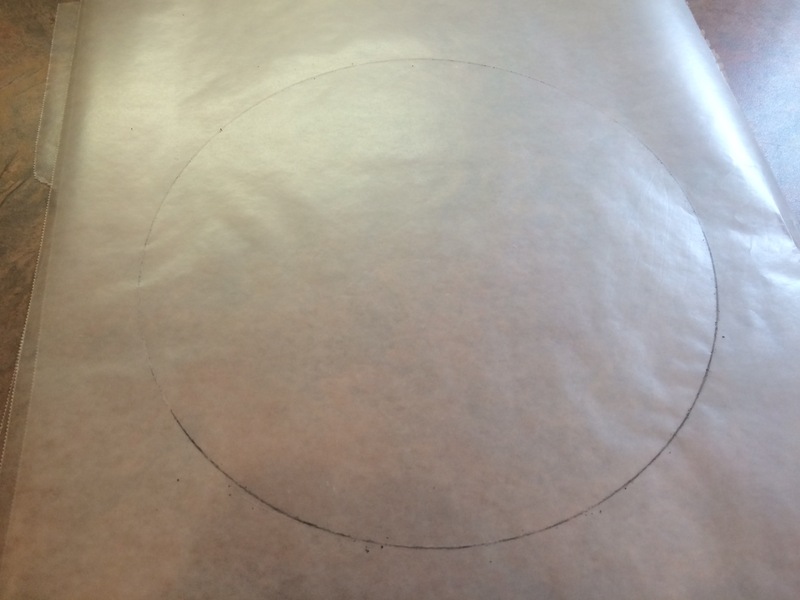 You can do this perfectly by tracing a circle around the cake pan onto the wax paper with a pencil. Next, proceed to cut. (See example below.) Set the pans and circles aside for now. 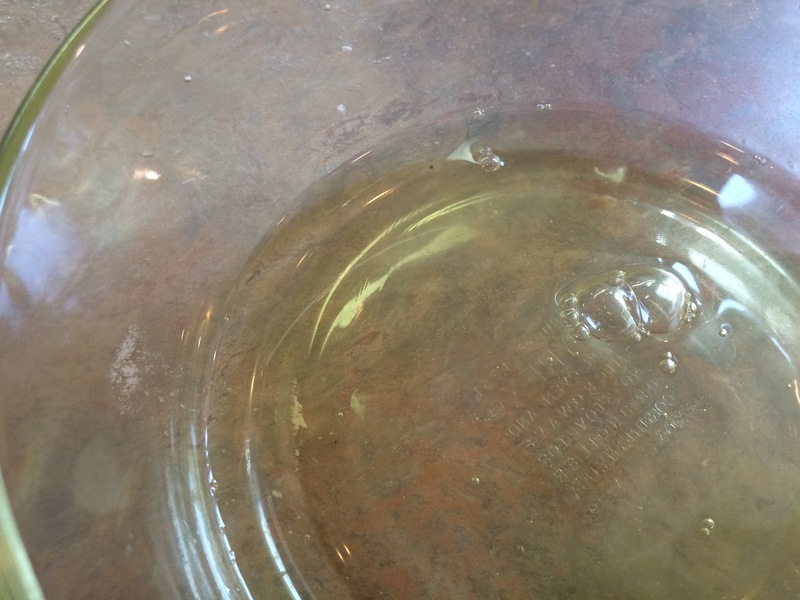 Note: Always prepare wax paper circles first because, the work space can become messy during measuring and mixing. 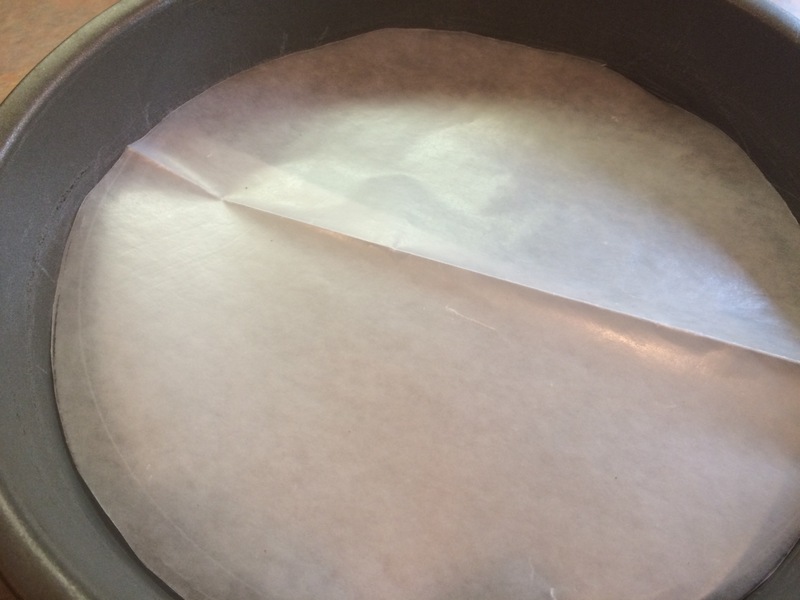 The wax paper should remain clean and dry until ready for use. Next measure dry ingredients into separate bowls. 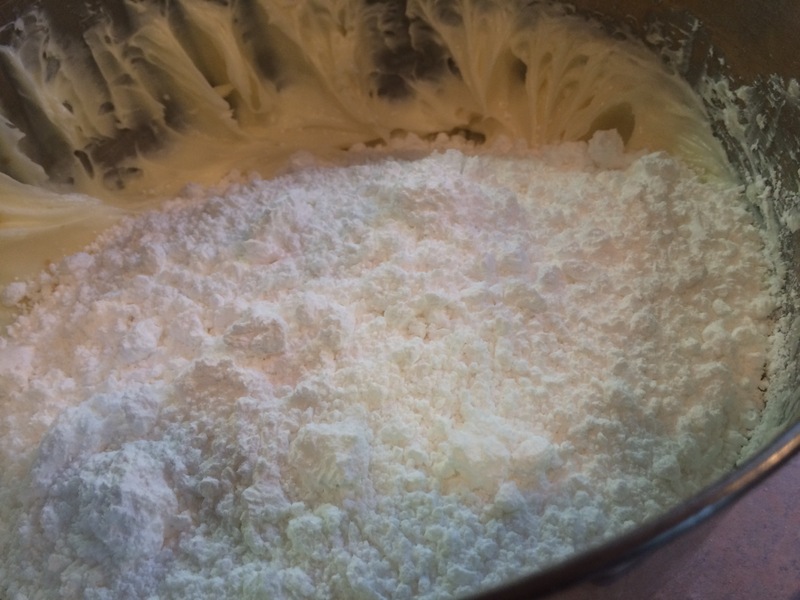 Lightly mix the 1 teaspoon baking soda and 1/2 teaspoon salt into the bowl with the cake flour with a fork. 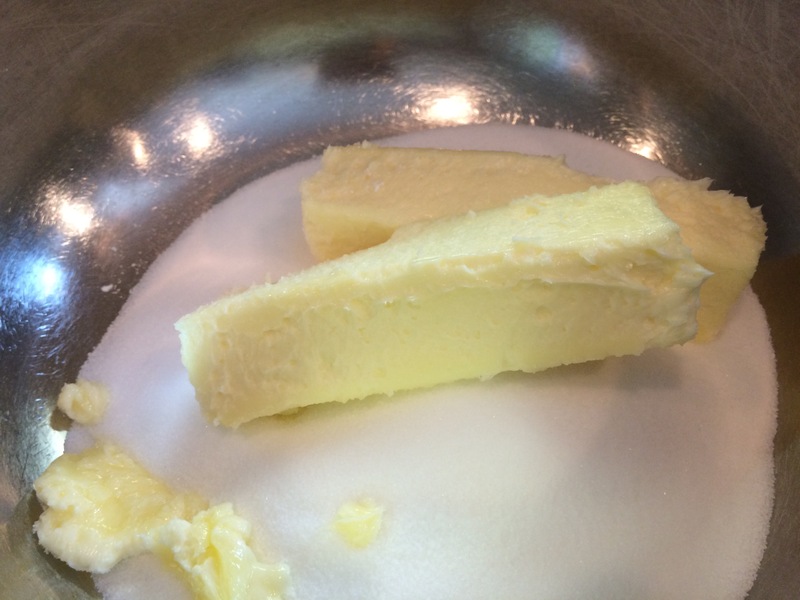 Measure buttermilk into a liquid measuring cup. Separate eggs into very clean bowls. 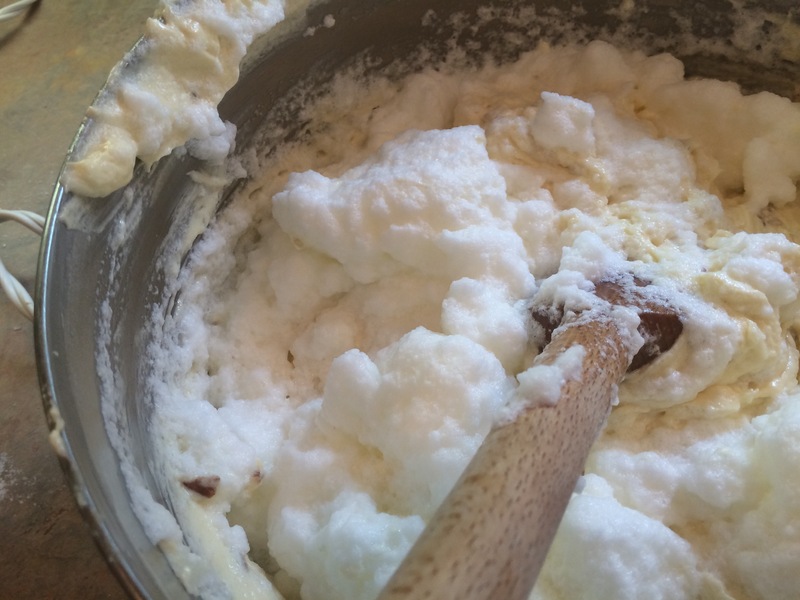 In a large mixing bowl mix the salted butter and sugar with an electric mixer on low. Mix until they are blended completely. 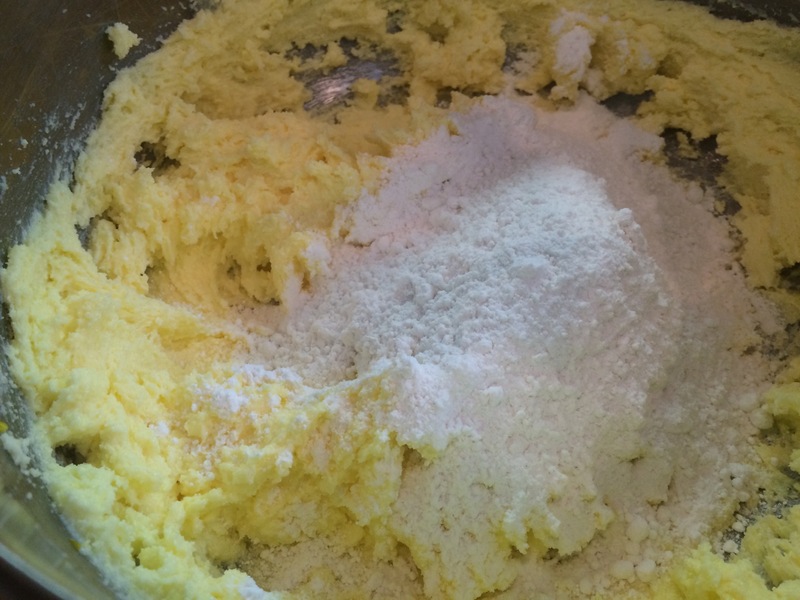 Add and mix egg yolks one at a time until the yellow disappears for each one. Your mixture should be a good yellow color by now. 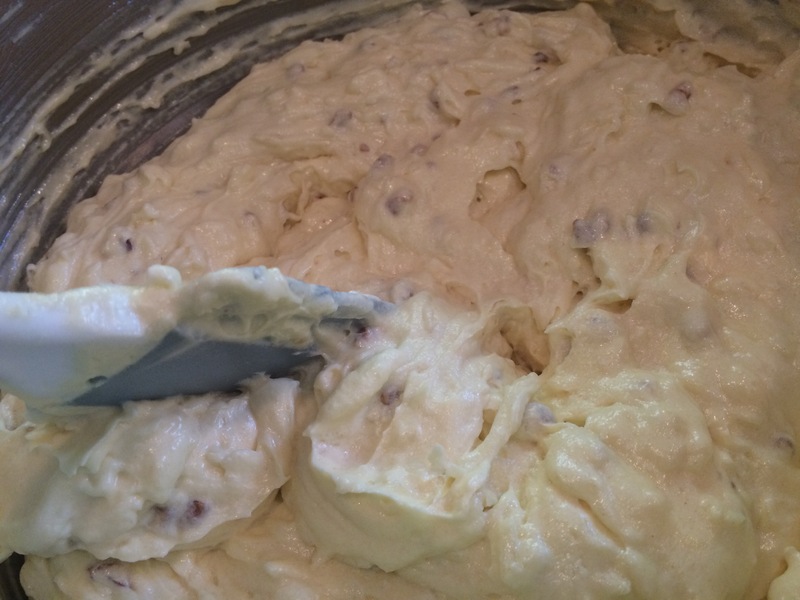 With a rubber spatula scrape down the sides and bottom of the bowl to make sure everything is mixed well. Next, beginning and ending with the flour mixture blend in 1/3 of the flour mixture and 1/2 of the buttermilk and repeat ending with the last 1/3 of the flour mixture. Scrape down the sides and bottom of the bowl once more. 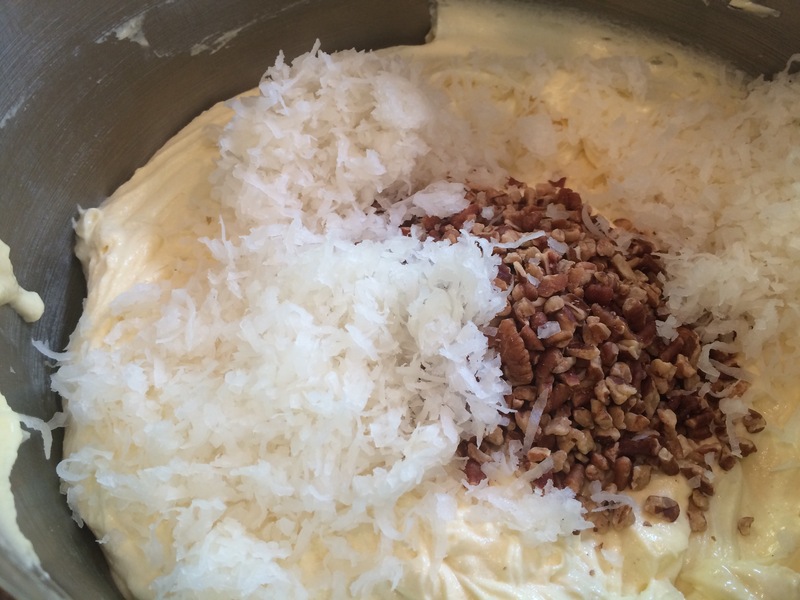 Using the rubber spatula stir in the coconut, pecans, and the 1 teaspoon vanilla extract. 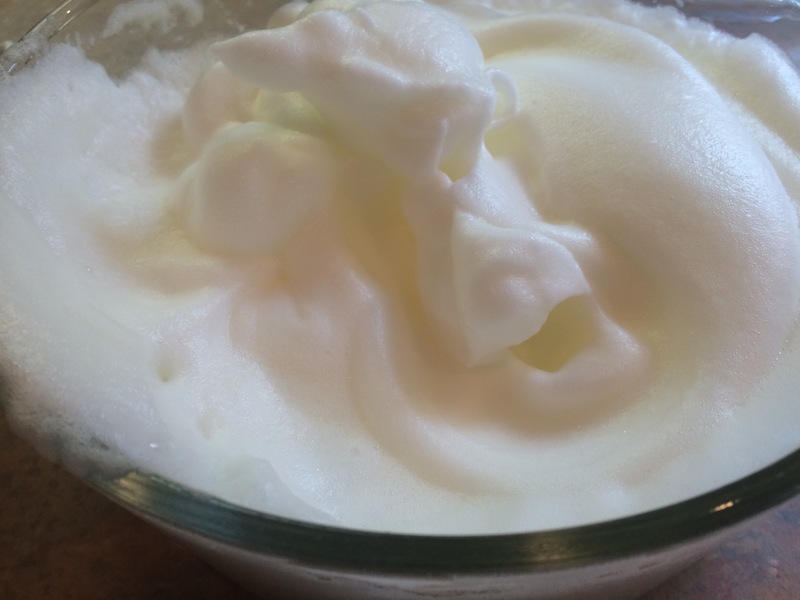 Last but not least, prepare to whip egg whites. 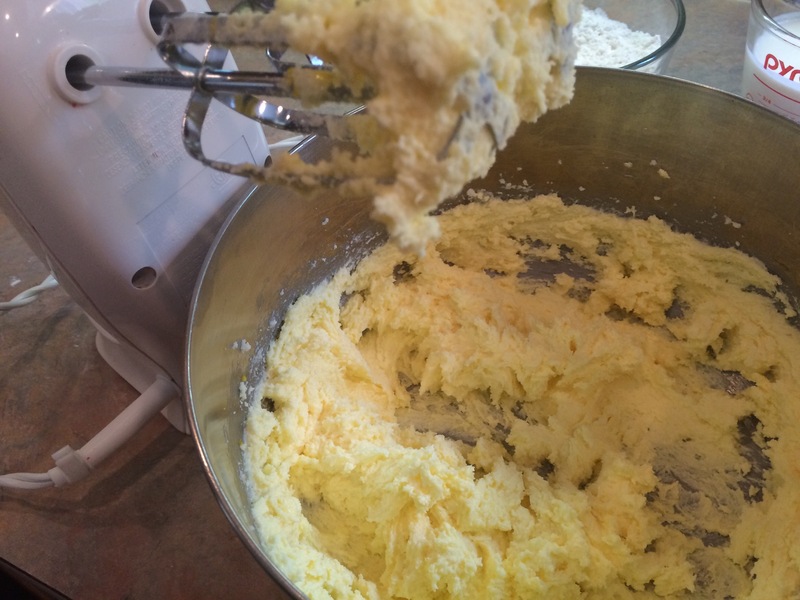 Rinse the beaters from the electric mixer really good. 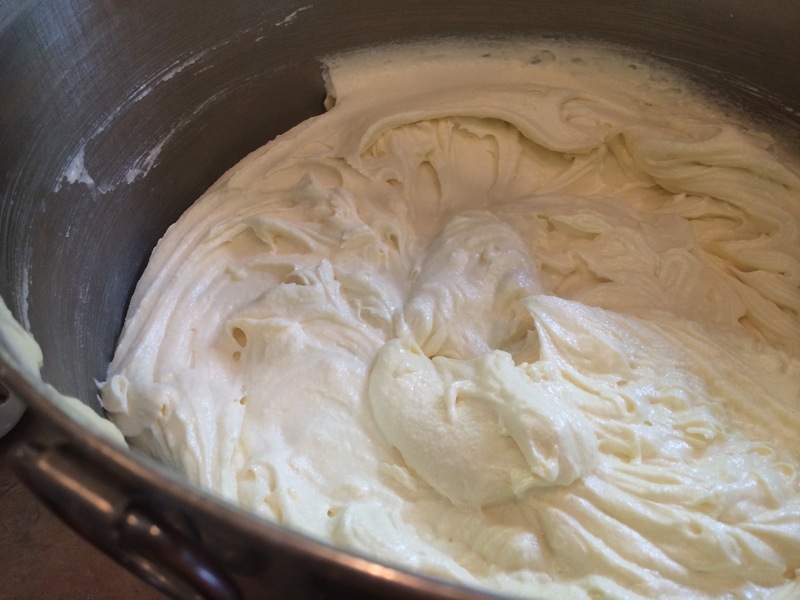 Transfer egg whites into a clean bowl large enough to hold whipped egg whites. 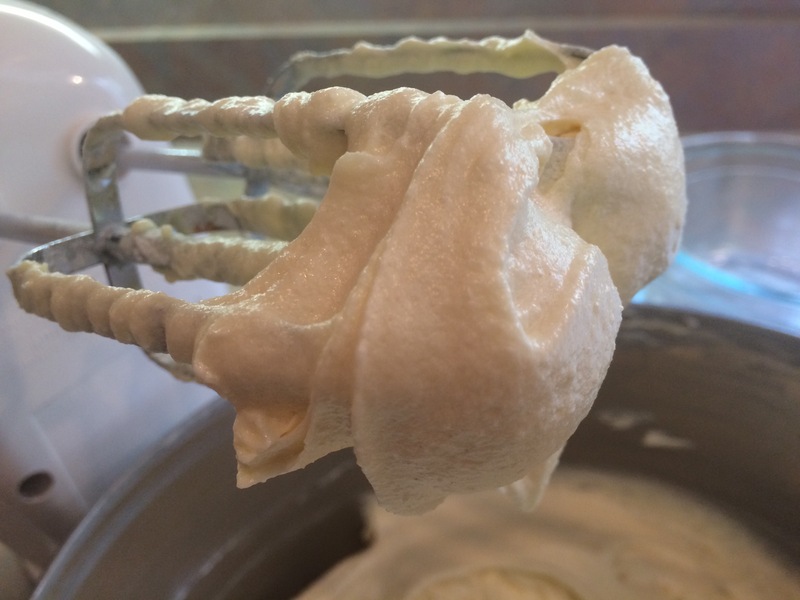 On high speed beat egg whites until stiff peaks form. 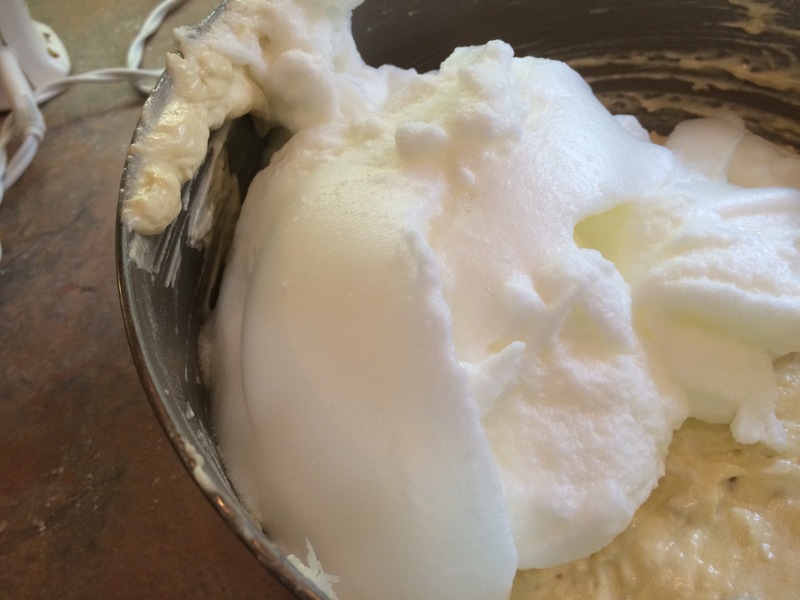 Add the stiff egg whites to the cake batter and fold in using the quarter turn method until mixed in. 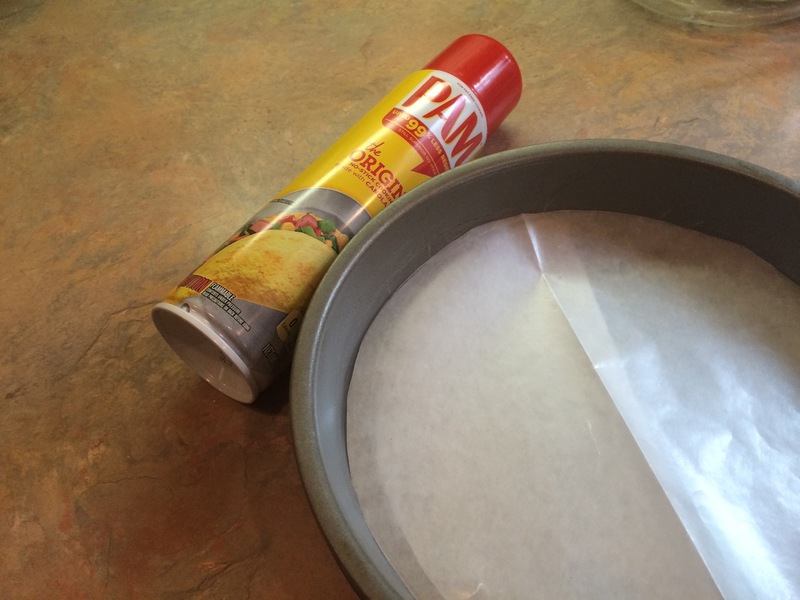 Grease your cake pans with pan spray or shortening and place wax circles on top. 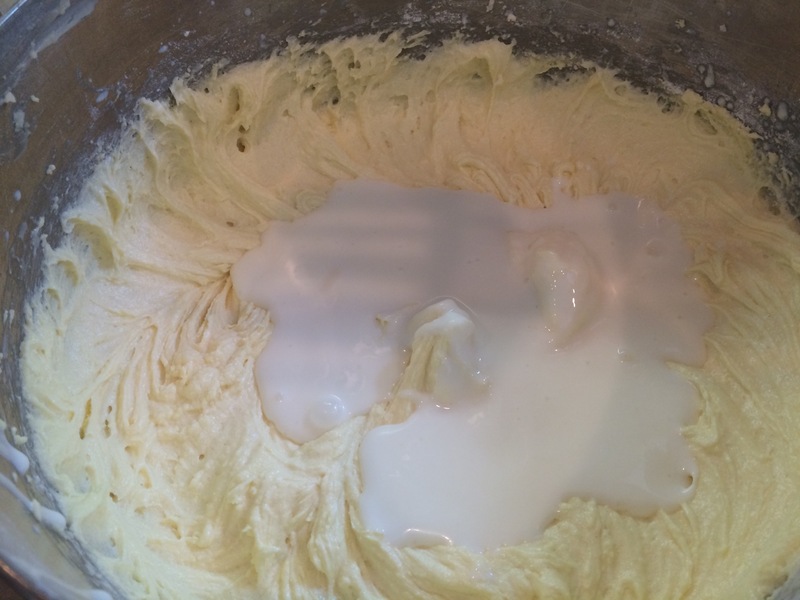 Evenly divide the cake batter into the three pans. 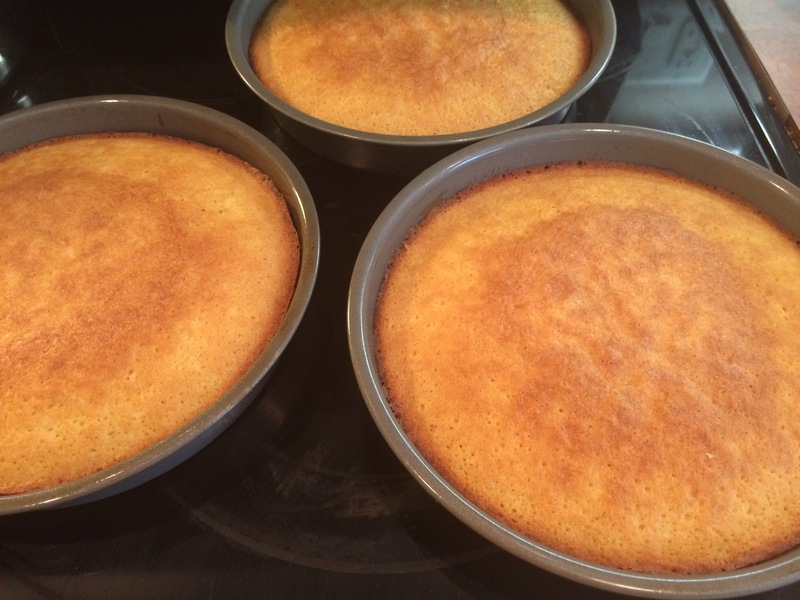 Place cake pans in the oven, set timer and bake for 22-25 minutes. Check for doneness at 22 minutes with a toothpick. 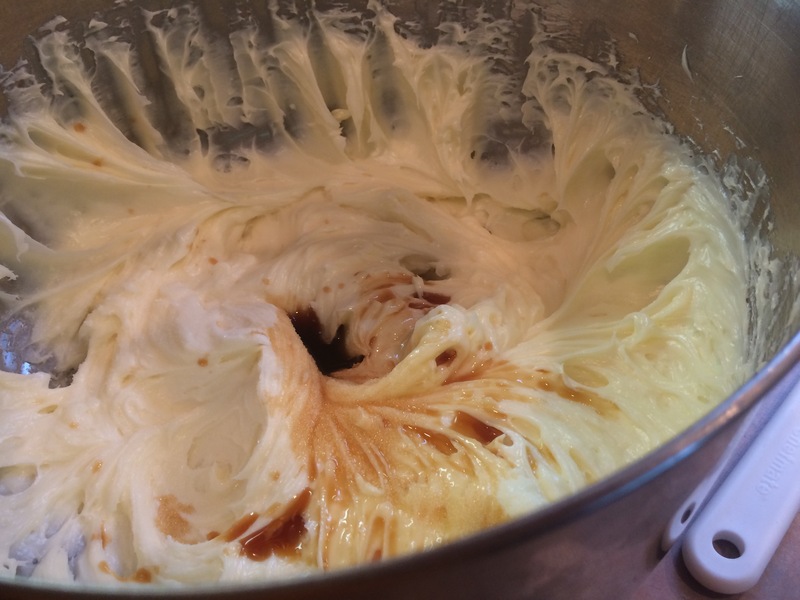 When the layers are done immediately and gently run a butter knife around the edge of the pan to loosen the cake from the sides. Let cool in pans for 10 minutes and then remove from the pans. 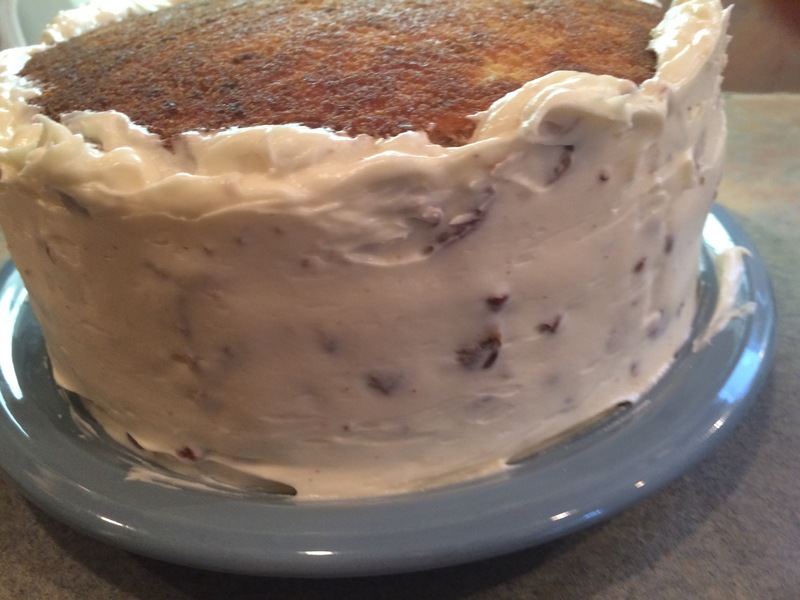 Cool cake layers on cooling racks if you have them. Otherwise a glass or metal pot holder will do. 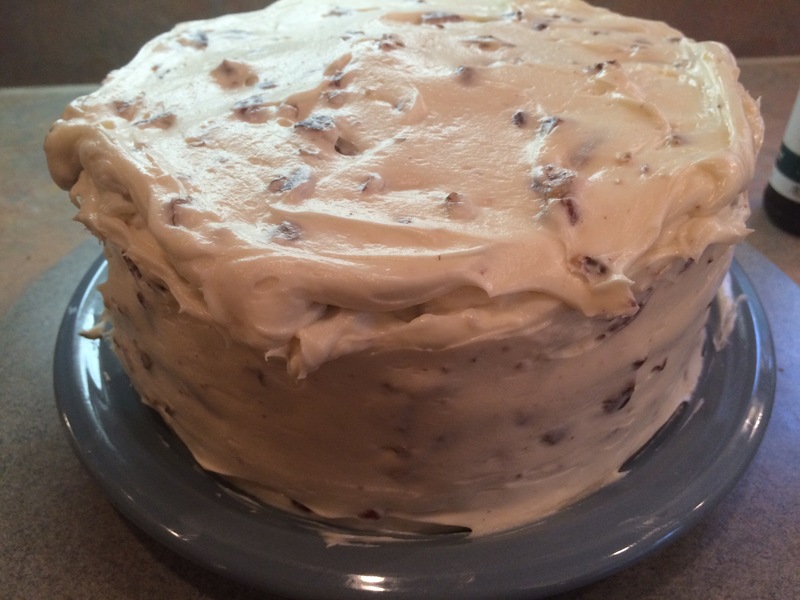 While cake layers are cooling make frosting. 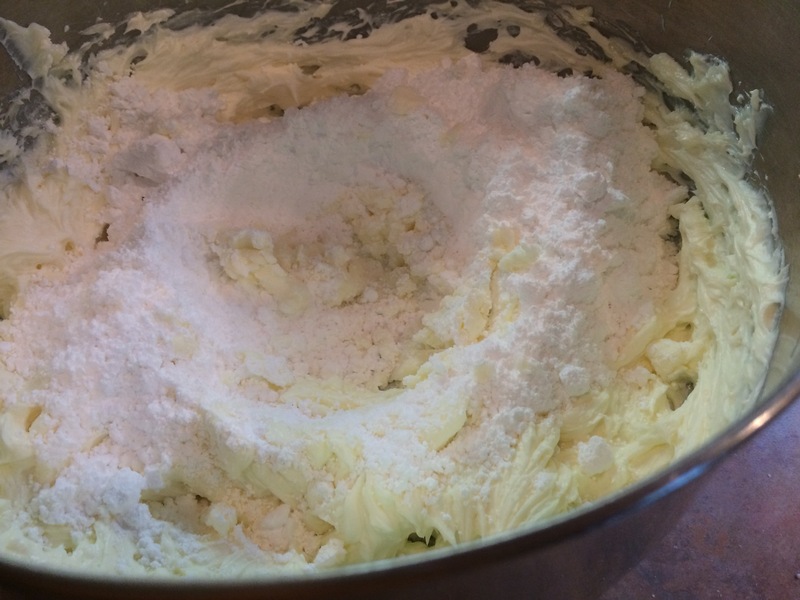 In a large mixing bowl blend together the cream cheese and softened butter. On very low speed mix in half of the powdered sugar. 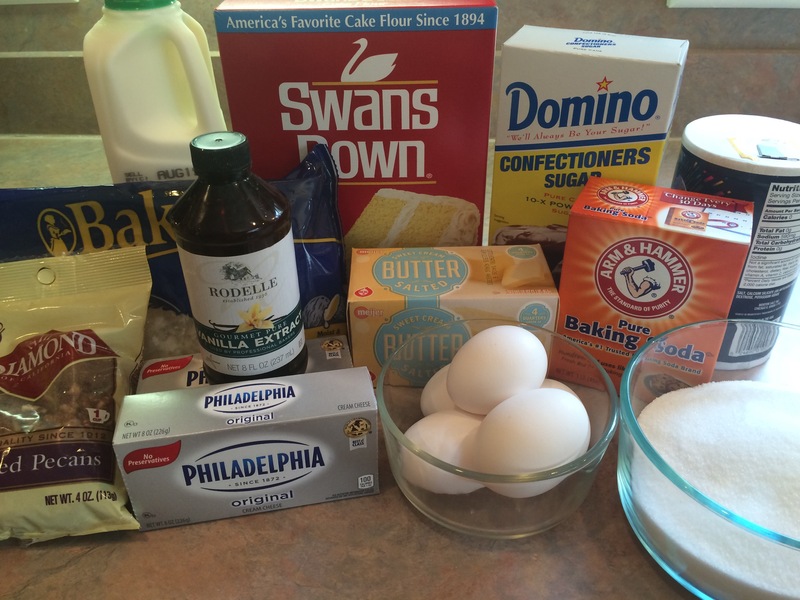 Add in the 2 teaspoons of vanilla extract, salt and the rest of the sugar on low speed. When the sugar is all mixed in mix on high for about 2 minutes. 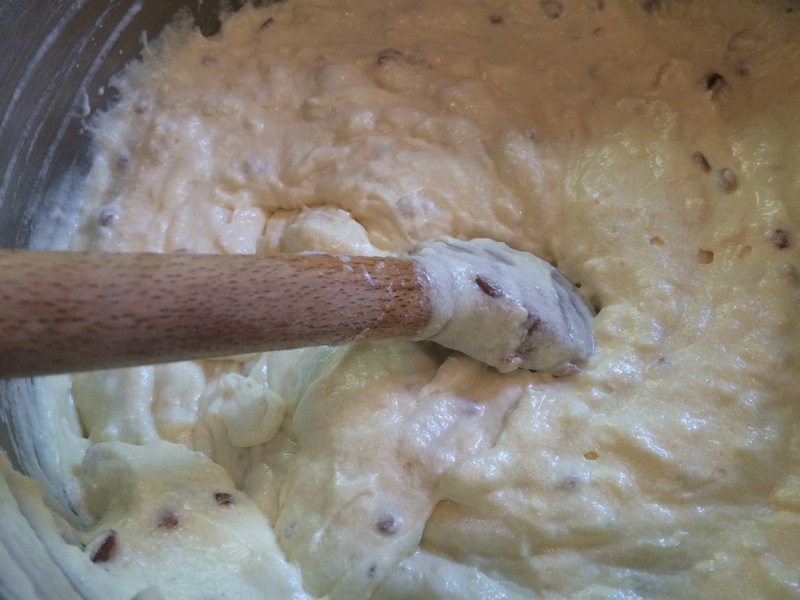 Stir in chopped pecans with a rubber spatula. 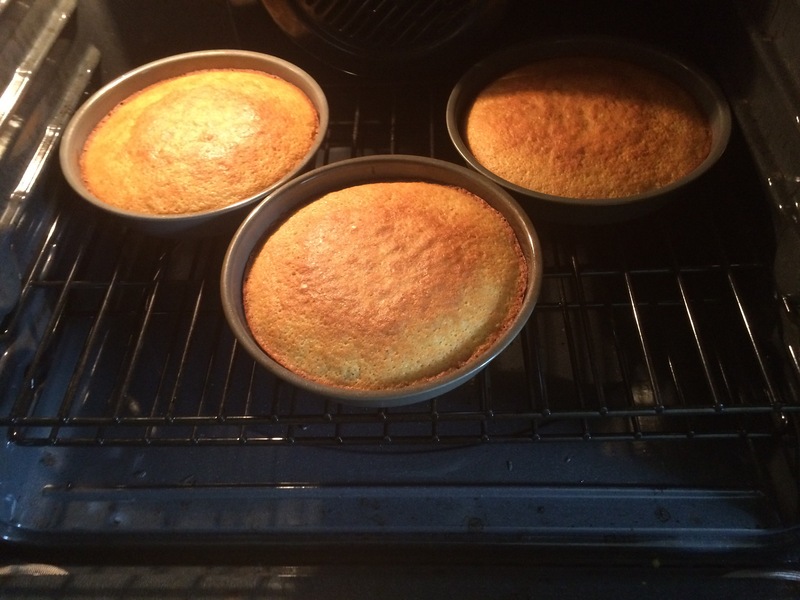 When the cake layers are done cooling, center one cake layer on a nice size cake plate. 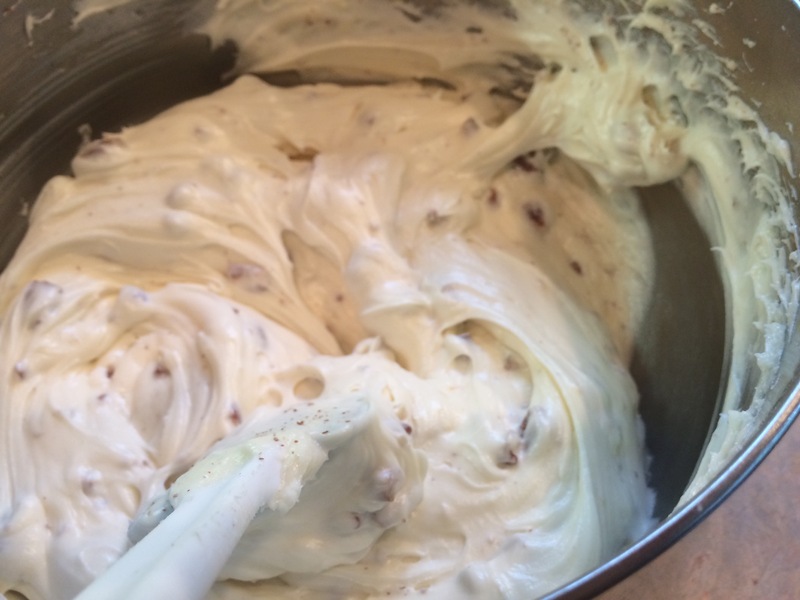 Place a large dollop of frosting in the middle of the layer. 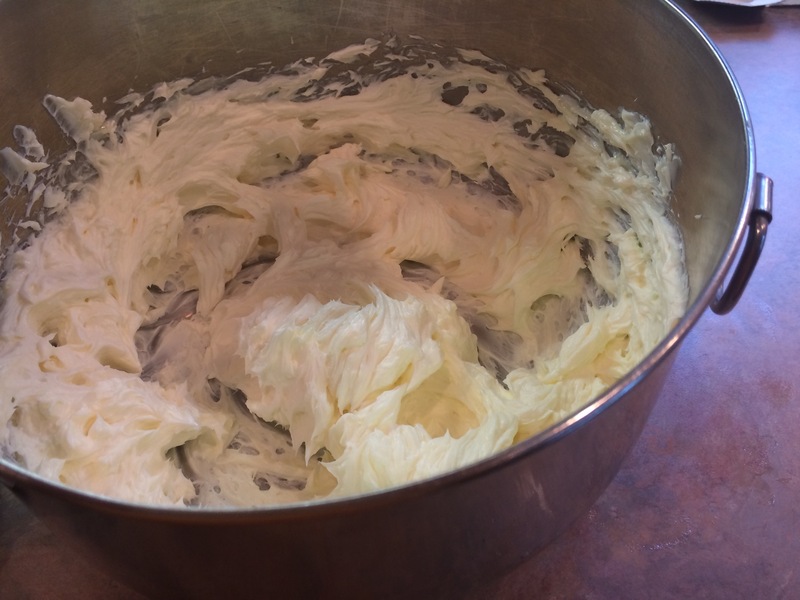 With a raised icing spatula, spread the icing from the center to the edges of the round layer adding more icing if necessary. 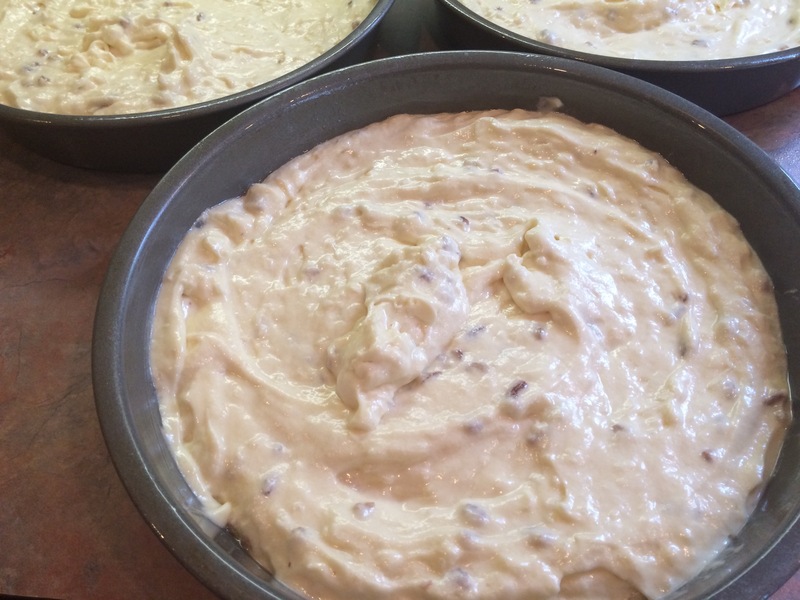 Place another layer on top of the first and repeat the frosting method. 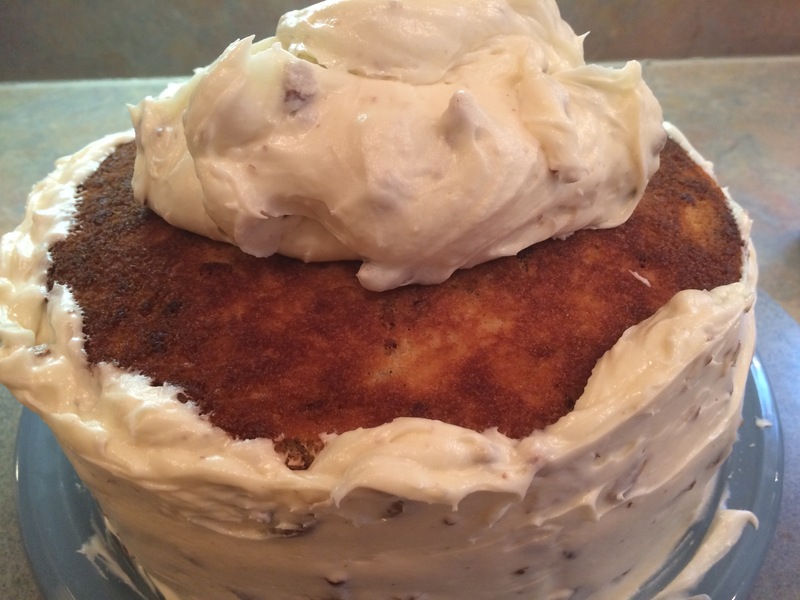 Top with the last layer and frost the sides of the cake first and end with frosting the top. 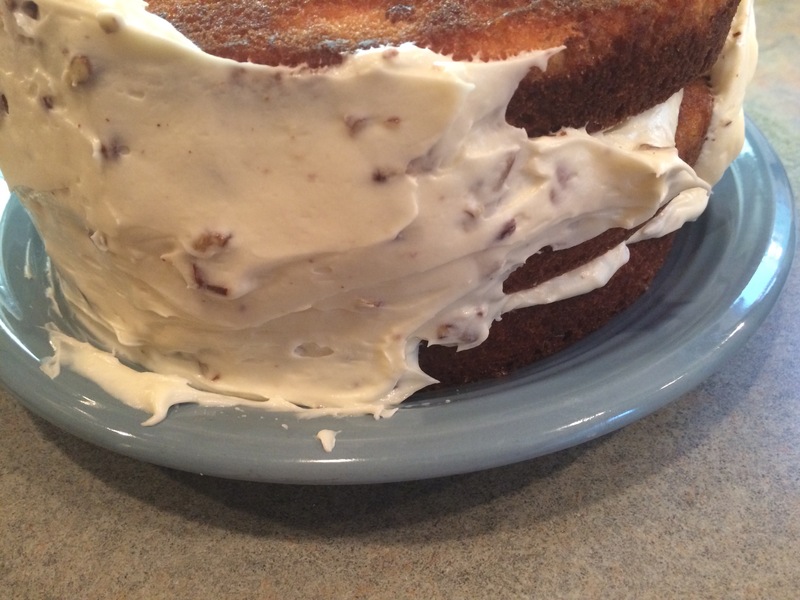 Smooth the sides and top of cake removing any excess frosting. 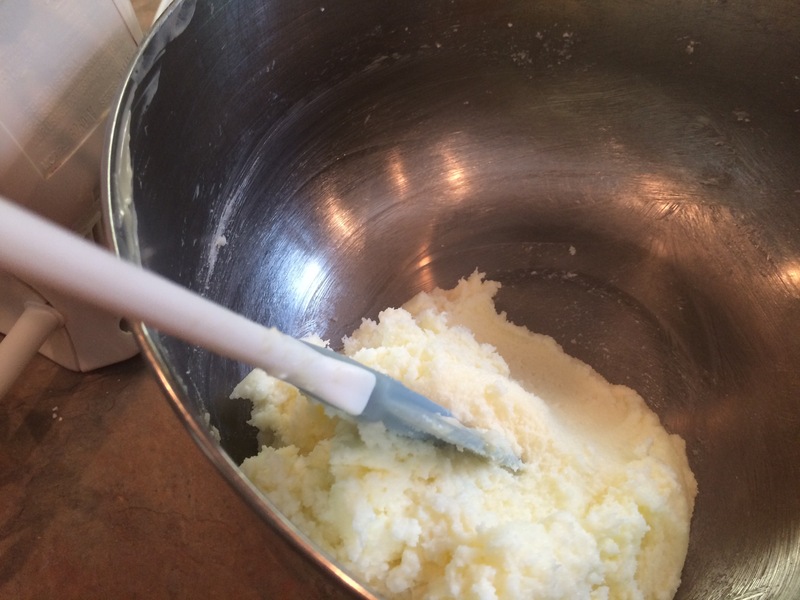 Using a clean paper towel wipe off any residual frosting from the cake plate.